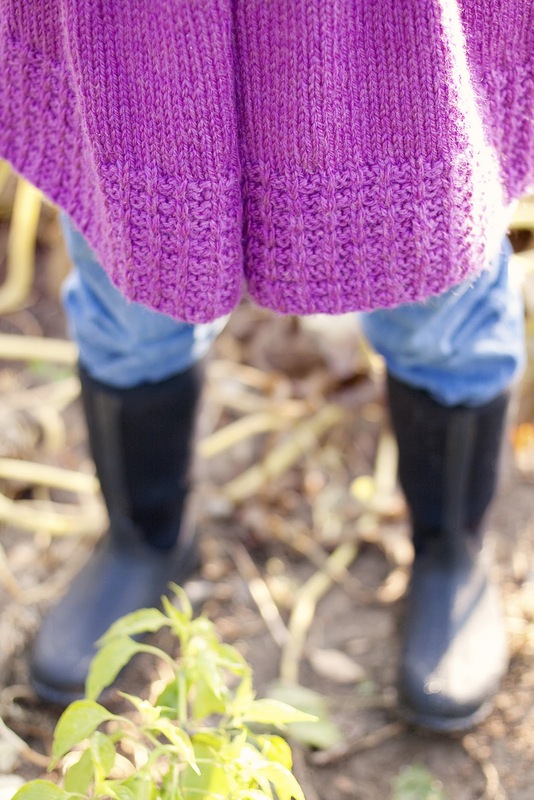 The Hill Top Jacket, named in honor of Beatrix Potter’s farm, is a “grown-up” version of Phoebe’s Sweater, the girl’s pattern from our children’s knitting book of the same name. After dozens and dozens of requests for a women’s version of this sweater, we are happy to offer the Hill Top Jacket for sale in nine sizes ranging from 29”-62”. The Hill Top Jacket is a seamless garment knit from the hem up in a bulky weight wool. As a special feature of this pattern, the pdf includes stationary (drawn by Father) of an English Sheepdog overlooking a flock of sheep on a hillside. Of course the dog is wearing a handknit sweater! 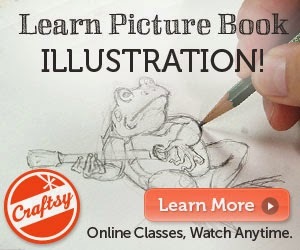 You may print as many of the illustrated cards as you like for your personal use. We decided to do this after many requests for stationary of Father’s artwork, and hope you enjoy this addition to the knitting pattern’s features. Teresa, who models the jacket, is a modern day Beatrix Potter. 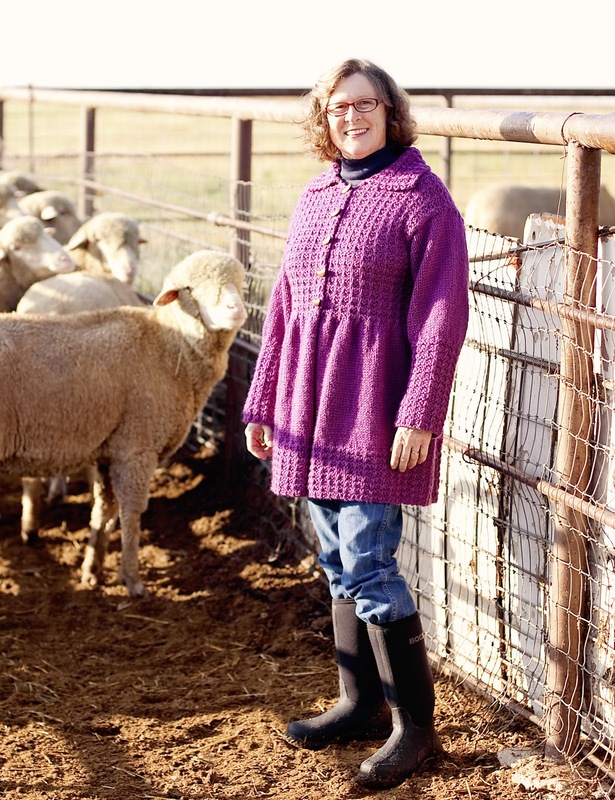 She has raised sheep since she was given a pair of orphan lambs at the tender age of 12. 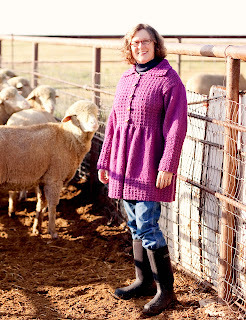 An avid spinner and knitter, Teresa has helped students at a local high school log over 10,000 hours knitting hats for charity, and is currently writing a chapter book about a favorite family horse, that is, when she is not caring for her flock of Registered Rambouillet sheep! The Hill Top Jacket is available for purchase here online in PDF format. Prints of Eric's illustration are available here in our Etsy shop. How absolutely lovely! This is on my Christmas wish list for sure! Love Father's artwork as well. You are a talented family for sure. We love this new idea of offering stationary with our knitting patterns, and are glad you do, too! Oh, oh, I know that model. 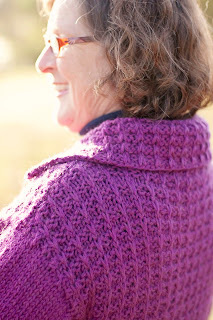 How totally great to see a homegrown sweater on a homegrown gal! Also thanks for the Cricket love. Let's catch up soon.